For those who can read Dutch my article published on the 17th of April 2014 at the moment when Beatrix Ruf had just been appointed. 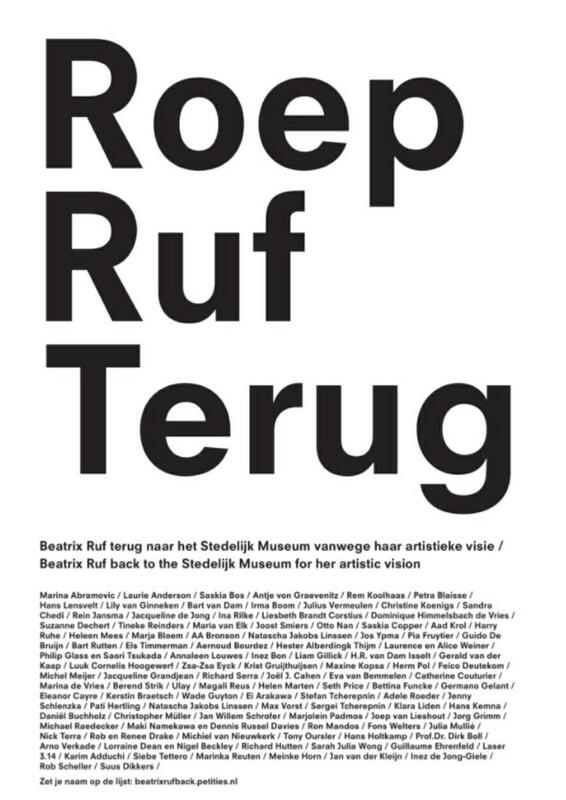 Title: “Stedelijk Museum Amsterdam: Beatrix RUF her calling just in time, but who did call her and what is her vocation?” Indeed the title can hardly be translated into English as the German word ‘Ruf’ means call, ‘roep’ in Dutch and ‘roepen’ is verb meaning ‘to call/calling’, further the noun ‘roeping’ means in this context ‘vocation’. The article is a documented analysis of the organisational structure of the Stedelijk Museum that was in origin (it’s best & most creative period) just a municipal museum for modern art as the name says. I explain the process of halfhearted privatisation, the practice of sponsorship by business tycoons and the double agenda strategy of those who invest and deal in art and use their position in the board of the Stedelijk Museum also to advance their social prestige and the market value of their art property. 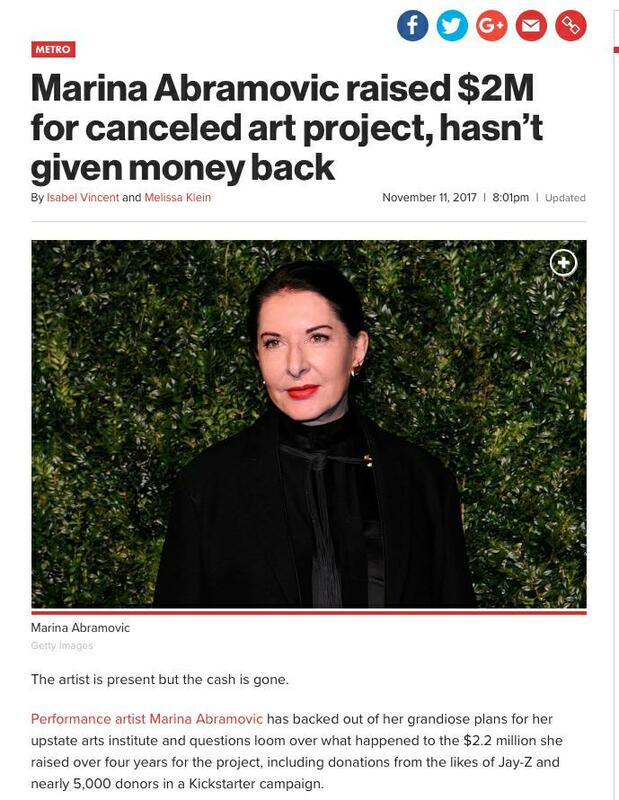 Another element is that these ‘flown in from abroad directors and curators’ lack a local power basis and tend to be moldable material in the hands of either the co-opted museum board members or public administrators. I do not pledge for any provincialism, on the contrary, I think that the whole business type of dealing with ‘art’ by attracting so called ‘famous’ curators from abroad claiming it a necessary step to reach the eagerly wanted status of ‘world class museum’, is in itself the uttermost provincial attitude to be found in the year 2018. It is sheer lack of imagination. It is lazy. It is proof of incompetence. It negates all chances of the unpredictable, the core element of any creative act. It is repetition of the same hailed names and styles, the world over. Nothing new will come from it. We locals do remember also newspaper articles about the costs of architect Rem Koolhaas who has been commissioned during the Beatrix Ruf ‘Stedelijk Museum directorship’ about an exceeding of a budget for interior museum redesign, originally estimated for 0.9 million costing 2,9 million in the end. that can not be disentangled.